While America is still adjusting a black Captain America, Hollywood producers should be catering to Hispanic ladies over 25 because, money. 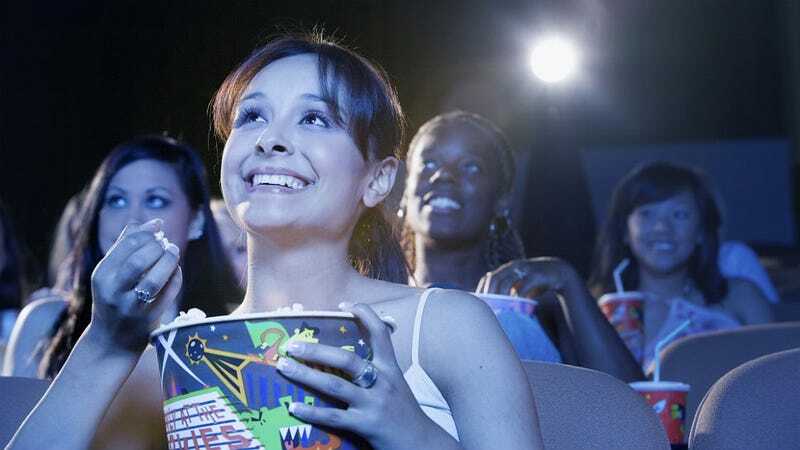 According to an independent study commissioned by The Wrap, Hispanic women usually attend films their families where they support all genres, from X-Men to The Fault in Our Stars and that's how they rule the box office. The study found 45 percent of Hispanics saw X-Men, Spider-Man and Captain America with their relatives. “Hispanic women are making it clear with their entertainment dollars that they are important part of the movie-going audience and essential to a film's box office success,” Kristen Simmons, chief innovation officer at C4 R&D, told TheWrap. They’re even going to see Godzilla — that's serious dedication because that movie did not look very good. And then the study got weird. One reason for the Hispanic attraction to superhero movies? Hispanics identify as both American and Hispanic, just as most superheroes identify as both humans, and, well, superheroes. “That bi-cultural identity is the basis for the cultural resonance of superheroes,” Kate Perkins, an analyst for brand consultancy TruthCo, told TheWrap. Perkins recently wrote a report on the changing face of the American family, with a special emphasis on the Hispanic audience. Traditional family movies like Rio 2 are also popular because it’s a “family-going experience,” says Paul Presburger, CEO of Pantelion, a studio that targets the Hispanic market. Finally, Hollywood is half-recognizing the gold mine staring them in the face and are slowly catering to that audience. Faith-based films — or the success of Tyler Perry — can be seen as the result of this new market research, with movies like Son of God and Heaven Is For Real finding success in the Hispanic market where many are Christian, reports the U.S. Census. Horror movies are big too. Now if Hollywood could only cast Romeo Santos in a family-friendly, faith-based superhero movie.